In the grand scheme of things, we tend to take for granted the fact that we know how to use tools like hammers, nails, even Facebook and email. And unfortunately time and time again, we’re shown that this fact creeps up on us and instead of making us great at something, it has the power to make us quite lack-luster. Let me explain how this theory, relates to you, your business, and your BNI chapters. In business, in networking, in life, we’re given tools. Some of them we have to search out, some are handed to us, and some we’re guided to - no matter the method of receiving these tools they’re vital to our success. ‘If you build it they will come’ is no longer a realistic mantra, we live in a society that has access to so many options, that if you want to succeed, you must continuously use tools to show off your solution or product, to communicate with customers or associates and at the end of the day: make a sale. These tools that I speak of can be any number of things, but for the sake of making this blog effective, I’ll stick to BNI. The entire purpose of your BNI Executive Director and Area Director team is to create, teach and help implement tools so that not only are you successful as a chapter, but as an individual member too. These tools come in the form of webinars, BNI University, leadership workshops - the list goes on and on. But what happens when you have a tool and don’t use it? Nothing, or even worse - you start moving backwards. Think of it simply: you have a hammer and a nail, they’re sitting right next to the wall you want to hang a photo on. This hammer and this nail are extremely useful tools, and they will in fact give you what you need to solve the problem you have, i.e., hanging a photo. 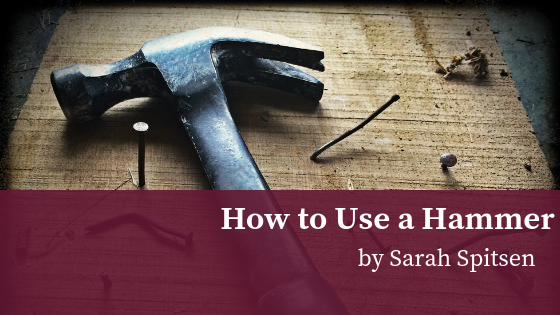 What will happen if you don’t pick up that hammer, place the nail in the wall, and start physically using the hammer to secure the nail? Nothing. Actually, I take that back - you’ve now created a bit of a mess because your hammer and nail are now lying where they shouldn’t be. Now it comes to the tough talk. What happens when you don’t attend a training meant for you? What happens when you do attend, and chose not to put effort towards it after? If you leave your tools that have been handed to you lying around, will they do the job for you? I personally love stories of magic and phenomenal things occurring, but the reality is if you don’t actively put the effort (the human element, I like to call it) behind the tools you receive, nothing will change - and if a change does occur, it may be for the worse. I challenge you to have a tough talk with yourself and those around you, see where you’re looking for a solution and decide how much effort you can put behind it. When you find that need - call me, I’ll be there to provide the tools. Then, when you pick up that hammer, amazing things can start to happen.